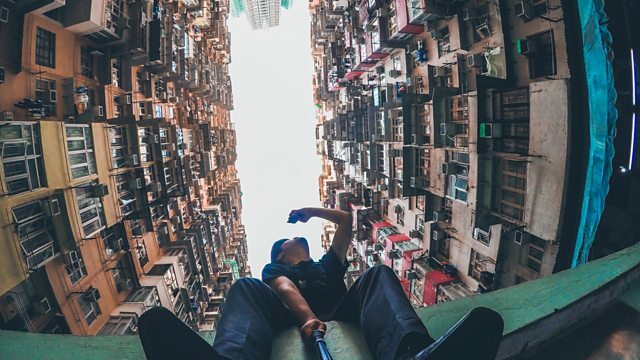 BBC World Service - The Why Factor, Why is architecture so big on Instagram? Why is architecture so big on Instagram? Instagram’s one billion users love architecture. Some architecture publications have more followers than household names like Cosmopolitan. Instagram’s one billion users love architecture. If you search for #architecture, you will get hundreds of millions of results. Some architecture publications have more followers than household names like Cosmpolitan for example. We also seem to love to use buildings as a backdrop to our own vanity, as the number of selfies on Instagram proves. But if architecture is so popular on the platform, does that mean that architects are now starting to design our buildings and public spaces to be Instagrammable? Australian architect Scott Valentine tells us that is increasingly what clients are asking for. So much so, he’s created an Instagram design guide for architects. Carl Turner, who is behind the new multi-use building called Peckham Levels in London, which is also very popular on the app, says that Instagrammability was on the clients’ brief. We also hear from architect Ippolito Pestellini Laparelli, who works for Rem Koolhaus’s Office of Metropolitan Architecture. He is worried how the need to be always be on social media affects up-coming architects. Travel writer Helen Coffey explains how cities are exploiting Instagram to attract visitors with installations and space design – from big, signature pieces like Thomas Heatherwick’s Vessel in New York to fairly crude attempts featuring temporary pastel walls with fake flowers and large letters spelling a city’s name. But it is not just conventionally pretty and shiny that catches the eye of Instagrammers. St Louis photographer Demond Meek became popular with his haunting photos of dilapidated houses in his city. He credits the immediacy of the platform for getting him out of a creative rut. Art and architecture historian Philip Ursprung points out that photography and architecture have a long, common history, but also warns that many new cities are increasingly created to look good on photos and from afar, but are out of proportion and unpleasant to be in. Why do we look the way we do? Tattoos, trainers, jeans, hair, ties ... why?